Welcome to North Queensland and Australia's premier Cape York trail bike adventures - Come along and experience the very best off-road trails throughout Cairns, Cape York and the tropical North Queensland on your dream trail bike adventure with Fair Dinkum Bike Tours. Fair Dinkum Bike Tours was founded 18 years ago by racing identity David Williams who has competed many off road races and in the worlds toughest off road race the BAJA 1000 in Mexico in 2014. 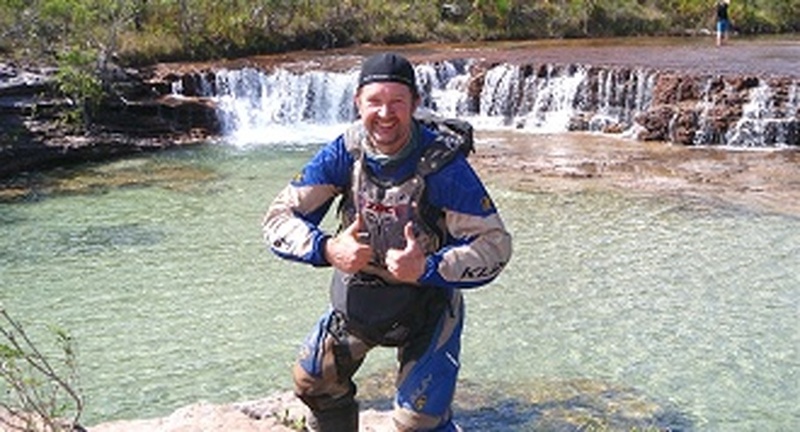 David has also raced at the top level in Queensland as well as the North Queensland enduro and motorcross series, Fair Dinkum Bike Tours will deliver your motorcycle adventure of a lifetime. Don't trust your trail bike adventures with just anyone, we are a locally owned and operated company who are professional and passionate, we employ qualified guides and have been established for 18 years, and regularly featured in Australia's major motorcycle magazines. Fair Dinkum Bike Tours is the only trail bike adventure company to be endorsed by Australia's motor cross legend Stephen Gall a 5 times Australian Motocross champion, Motorcycling Australia Hall of Famer and Yamaha's longest sponsored rider. Stephen was chosen to provided the motorcycle stunt riders for the latest Mad Max "Fury Road " movie. Fair Dinkum Bike Tours offer a range of dirt bike adventure tours that will show you the natural beauty from Cairns in North Queensland through the Daintree, Cape Tribulation, Palmer River gold fields, Cooktown, Lakefield National Park, Cape York and the Gulf Savannah, our trail bike adventures are designed to cater for every dirt bike riders dream. You will ride the latest model trail bikes, we renew our fleet of DRZ 400cc Suzuki's at the start of every season. We modify our trail bikes with upgraded suspension, Alloy bars, barkbusters, bashplates and tyres. All our trail bike adventures can be customised to suit your group of experienced riders plus our unrivalled local knowledge to all the great tracks with exclusive private property access only available to Fair Dinkum Bike Tours. We've had Australian ISDE Enduro legends like Gavin Mcleod, Rick Maddin, Rex Fleighter and Dan Perkins, Troy Spedding (Australian Enduro class winner), Lyndon Heffernan (Australian Pro Class winner) and Stephen Gall (Australian Mr Motocross 5 times) come along and ride with us, they all agreed that we offer the motorcycle adventure of a lifetime. Check out our Facebook page Facebook page. Consider these key points as to why choose Fair Dinkum Bike Tours for your Trail Bike Adventure of a lifetime.. Enjoy the company of like minded people, the knowledge you will be catered for by by qualified, professional and friendly guides. On our extended adventures, the convenience of having your luggage carried in our support vehicle, which we can also carry passengers to join in and experience our trail bike adventures. Peace of mind that Fair Dinkum bike tours will give you the most from any of the trail bike adventures we offer, and that any issues that may arise will be resolved quickly and professionally. Trusting your trail bike adventure with Fair Dinkum Bike Tours a company that has been established for 16 years, we are trustworthy,passionate and professional, providing you with the latest model hire bikes that are replaced every year. We are a true locally owned and operated business, regularly featured in all the national major motor cycle magazines, owner David Williams has lived in North Queensland for 35 years, there are others out there that have tried to copy what we do but they can't copy our professionalism, track knowledge and riding experience. Whether you come alone, with a group, a friend or your partner to do one of our trail bike adventures one thing for sure is you will get great value for your hard earned money plus a lifetime of great memories. Don't trust your experience with just anyone, check to see if they have the latest hire bikes, what is not covered on the tour? How long have they been operating in the motorcycle tour business? Will they answer any questions or concerns you will have? We look forward to seeing you on a ride! 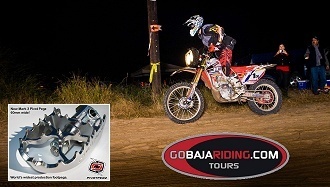 Ever wanted to ride in the infamous Baja 1000 or just ride the Baja peninsula in Mexico.. Well we can make your dream a reality, David Williams owner of Fair Dinkum Bike Tours has just got back from riding the famous Tecate Score Baja 1000 the worlds toughest off road race, he has got a dirt bike adventure package to suit every riders dream. Tours can range from a 4 day Dirt bike tour to the epic 8 day motorcycle tour all in beautiful Baja Mexico, we can customise a tour to suit a group or if there are only a couple of riders that want to join a tour that is not a problem, all you need to do is turn up with your riding gear and let Fair Dinkum Bike Tours arrange everything else. Fair Dinkum trail boss David Williams has just been to the USA in November 2014 to join Go Baja Riding and his race team to ride the Tecate Score Baja 1000. David said they first pre ran the 1275 mile course the second longest in the history of the Baja race to see how much damage had been done as the Baja peninsula had a hurricane there a couple of months prior and some of the race course had been affected. The pre run was for 4 days then a transport back for the start of the 2014 Tecate Score Baja 1000. David riding a CRF 450X would like to thank Allen of Pivot Pegz Australia who has donated a set of their latest Mark 3 Pivot Pegz. Finished result was 2nd in the over 50 Pro class. David has uploaded photo's and a update on the Fair Dinkum Bike Tours Facebook page plus check out ADB magazine May 2015 edition there is a featured story on Dave's epic adventure. 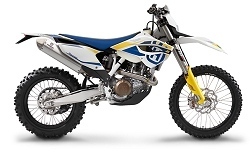 We are pleased to announce we have received our new 2014 Husqvarna FE501 for this season. Come on and join us on one of our trail bike adventure rides, you might even get lucky and ride this new weapon of choice. 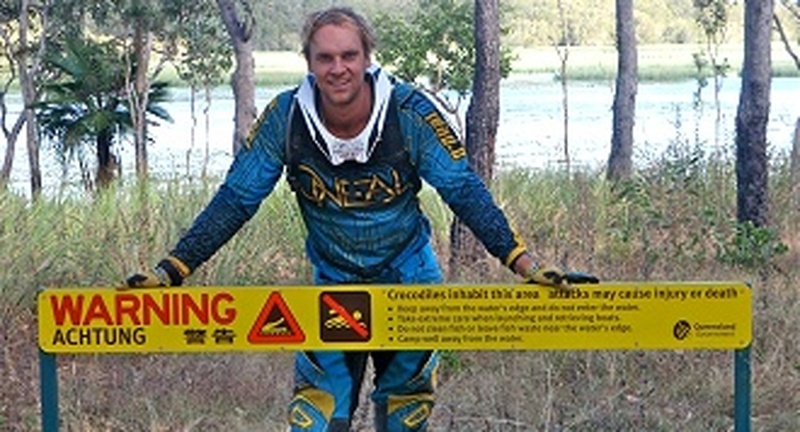 Stephen Tuff editor of Trailrider and Dirt Action Magazine has been with us on numerous tours and our 8 Day Cape Yorker. 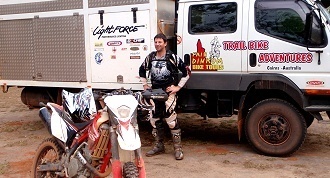 Mitch Lee's Australasian Dirt Bike Magazine Editor on one of our 8 Day Cape York trail bike adventure. Mitch joined us again in 2015 look for the story. Andrew Clubb famed owner and editor of TrailZone magazine joined us for a classic 8 day tour. Clubby is a regular rider on our cape york motorcycle adventures and does the classic "Trailzone"pose for the camera at Fruit Bat fall's Cape York. Greg Smith from IKapture was on our 8 day Cape York to Cairns ride this year. Look out for the October 2015 edition of Dirt Action magazine and Trailrider magazine for the full story.